Anthony Joshua might one day be as big as Frank “Bomber” Bruno but his demeanour is quietly at odds with the volume his sport usually generates. The unbeaten heavyweight could be Britain’s first world champion since David “Hayemaker” Haye slipped from view two years ago and, at 25, he could go on to establish a distinguished reign – maybe even on a par with his chess master and hero, Lennox “The Lion” Lewis – when boxing’s premier division eventually loses its 38-year-old king, Wladimir “Dr Steelhammer” Klitschko. Boxing might be a branch of showbusiness but it is still business. Joshua confirmed he has not suffered even a passing moment of discomfort in his short professional career but he knows he is about to move to another level against Johnson. The offbeat American, who is 10 years older than Joshua, went the distance with Vitali Klitschko five years ago in a career that began a little late, in 2003, but has lost four of his past five bouts, including points decisions to Fury and Dereck “Delboy” Chisora – who was persuaded to quit after 10 rounds against Fury on Saturday night. 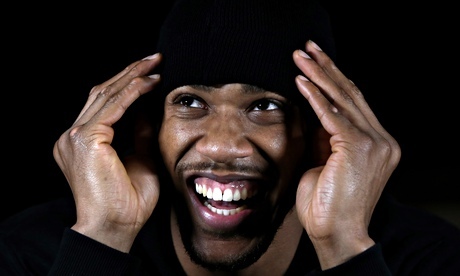 Joshua dismissed any concerns about complacency, declaring he intended to be the first fighter to stop Johnson – who then illuminated the afternoon gloom by the Thames when he upped the ante to 75% of their purses for the 31 January bout at the 02 Arena in south-east London, with the takings to go to a charity of the winner’s choosing, if Joshua could knock him out inside five rounds. He further declined. It was harmless fun – unlike each of Joshua’s 10 paid fights, the only harm there coming to his opponents, none of whom has got past the third round. Johnson has every chance to be the first, and he might even go the distance when they contest the WBC International belt on a card that features the return of Kevin Mitchell and John Ryder, as well as the professional debut of the Great Britain amateur squad member Charlie Edwards, who has signed with Matchroom. And if he lands the big punch, will he regret not taking Johnson’s bet? As for his proposed fight with Fury next year, Joshua is as keen as his promoter, Eddie Hearn – especially after watching his low-key dismissal of an underdone Chisora at the ExCel Arena in London, from the cheap seats. “I went ringside for a bit, but my mates were up in the stands so I went up there and chilled with them.” Welcome to the laid-back era of boxing’s quiet man. “I went there also to get a better perspective, but there wasn’t much to see. Fury controlled Chisora very well, which shows that he can beat an opponent of that calibre. If he has to dig deep, I’m sure he’s got way more in the locker. I’m not saying Chisora is washed up either. If he was to fight me, I think he’d gather up all his hunger again. “I would be happy to fight either of them. If it was a must fight now with Tyson, I think it would be a good fight. But if we’re talking about building my career properly and becoming the best fighter I can be, Chisora is the perfect opponent. I’d beat either of them now. “But, if I was to line up all of them guys, David Haye is the guy I’d like to fight, because I think he’s the best. I’m not saying he’s a walkover, or anything like that. He’s such a great fighter, he’d bring out the best in me. Joshua, meanwhile, heads for a 10-day break in Cuba on Thursday – and he will be looking for sparring to break up the holiday if he gets the chance against that country’s excellent heavyweights, including the nephew of the great Félix Savón, Erislandy, who nearly beat him in the first round at the London Olympics. Joshua vowed not to waste his earnings like Tyson did, though. What would he spend his money on if he does get to that level? “If I had loads of money? And he was quick to point out that was not donating to Kevin Johnson’s impromptu benevolent fund.